“SANOMA SANO” FT. RAHUL SHAH OUT NOW!! Rahul Shah stars in Samir Acharya’s latest video song “Sanoma Sanu” along with various groups of dancers. The video begins with Rahul playing with his mobile and then gets distracted by fish tank. And then the song begins as Shah along with dance groups start to show their dance skills at different locales. 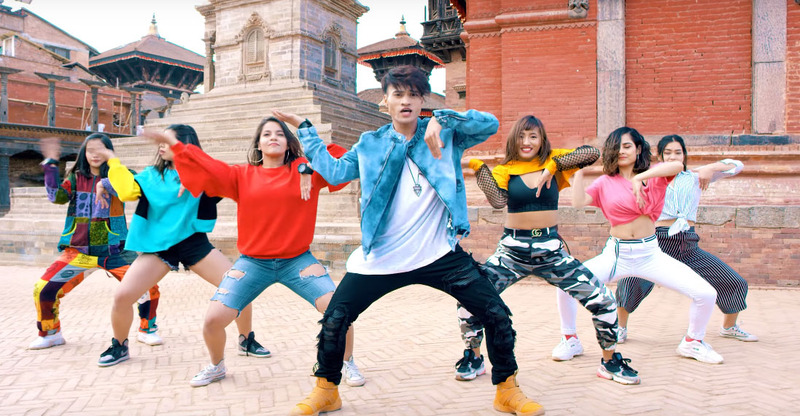 The song has been shot in many locations in Kathmandu as the dancers are shown dancing on the many places. This video is directed and choreographed by Rahul Shah. Singer Samir Acharya has composed and wrote the song. The song is sung by Samir Acharya and rapper Araaj Keshav. WATCH: “CHATTA RUMAL”, “YATRA SONG IS OUT NOW! !